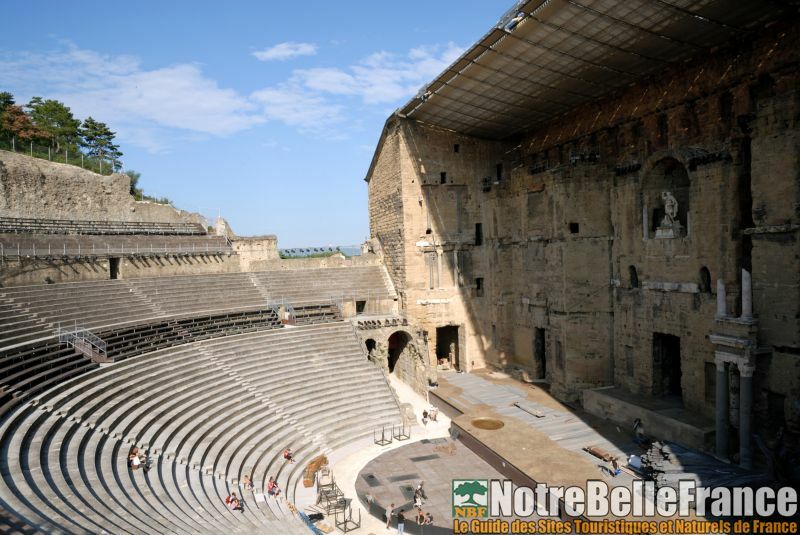 Located in the heart of the Rhône Valley, the Roman Theatre of Orange is without doubt one of the finest remnants of the Roman Empire. Exceptional evidence of Ancient Rome and part of the UNESCO World Heritage list, it is the best preserved theatre in Europe. It owes its fame in particular to its magnificent stage wall, amazingly well-preserved and unique in the Western world. A venue for shows in Roman times, it continues in this role today, to the delight of music lovers the world over.